We love everything MINI. 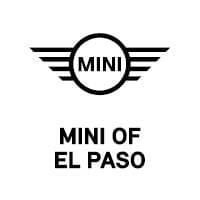 If you need proof, be sure to browse EPMINIS.com for our involvement in community events and up-to-date MINI news.MINI of El Paso is one of the premier dealerships in the country, and our commitment to customer service is second to none. Need assurance that we have your best interests at heart? Be sure to view our satisfaction rating and reviews. To keep you motoring at your MINI auto’s finest, our dealership offers one of the most comprehensive parts and service departments in the automotive industry. At MINI of El Paso, our primary concern is the satisfaction of our customers. Our online dealership was created to enhance the buying experience for each and every one of our internet customers. Please feel free to call us at 915-778-9381 or email our staff with any questions you may have by using the contact us page.